Many people call this waterfall one of the most beautiful or one of the most picturesque waterfalls of them all. And it’s not too far from Kobarid. The trail to the waterfall is undemanding and quite rewarding at the end. A perfect combination. 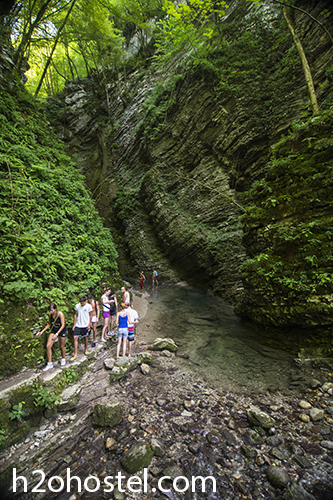 The last part of the trail takes you through the forest along the Kozjak stream, but you don’t get to see the waterfall till the very end, since it is caught within a stony natural amphitheater. 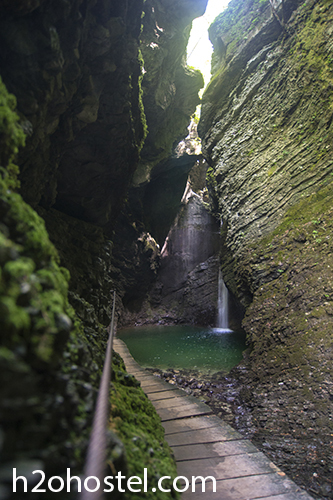 You reach the waterfall by crossing elevated wooden bridge-trails, which lead you to the edge of a cave. 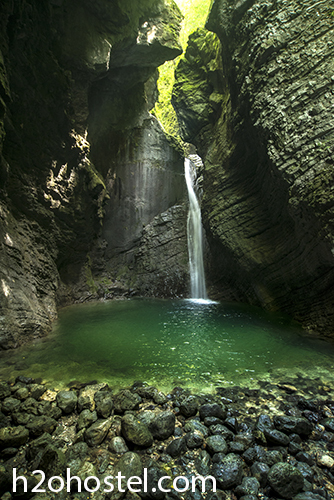 The waterfall itself is only 15 m tall, but as I said, the Kozjak is truly beautiful. 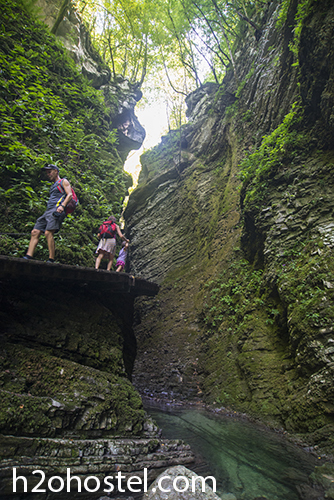 It is accessible from the Kobarid – Drežnica road. Coming from Kobarid, there is a turnoff to the falls soon after the intersection beside the Napoleon Bridge. This entry was posted in H2ostel Blog, Travel tips and tagged Kobarid, Recreation and Sports, Travel and Tourism, Waterfall. Bookmark the permalink.